Data & Analytics Will Drive A Huge Wave of Change & Advancement in the Industry. Perhaps you've been astonished to receive an accurate “personalized recommendation” from an online retailer. Or maybe you’ve heard about how Fitbit has collected the biggest set of heart-rate data ever and medical researchers are now using this data. These kinds of uses of big data and analytics have arrived and it’s more important than ever that L&D and other performance improvement professionals understand what’s happening, why it’s important and what to do about it. How will I benefit if I come to this session? These kinds of uses of big data and analytics have arrived and it’s more important than ever that Learning & Development (L&D) and other performance improvement professionals understand what’s happening, why it’s important, and what to do about it. Why culture of analytics important? You'll gain resources that you can use to improve your ability to create a culture of analytics, and leverage its power to transform your programs and be a part of the future of training. 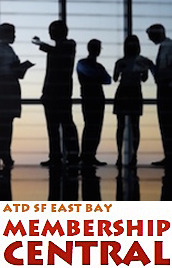 Our Chapter was one of very few to receive ATD’s Highest Superstar Award. Our chapter fully complies with National ATD Chapter Affiliate Requirements (CARE) that are designed to help chapters deliver consistent benefits to members and ensure the chapter is run like a business. Log in & Navigate the menu to view the members-on job board. Designing Learning Certificate < Click title for more info. Help us earn a referral fee by entering our chapter name when you register. < Click title above for more info. Past Meeting resources archive goes back 7 years!